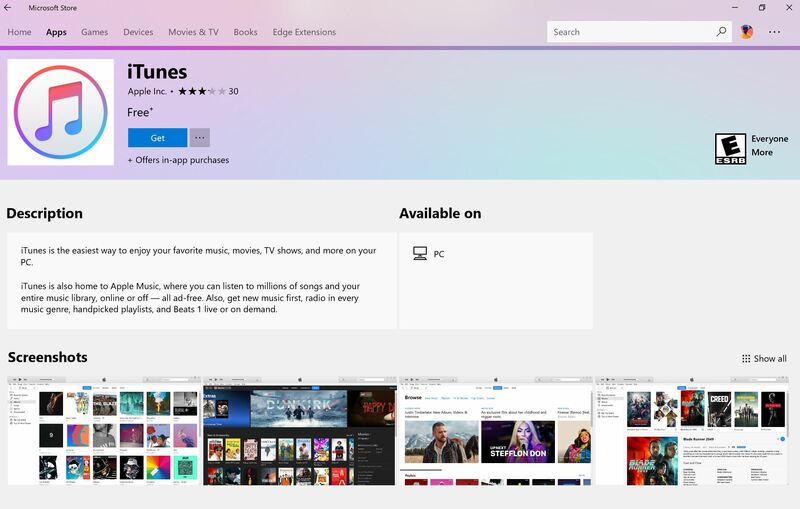 Apple’s iTunes application finally debuts in the Microsoft store after it’s announcement a year ago. Microsoft’s Build developer 2018 event takes place next week. At this same event a year ago Microsoft made a big announcement; iTunes is coming to Windows Store. However we didn’t see or hear anything till it was released in the store on the 26th of April. This could be good news, might be too late to win over other developers or fans. “Now you can download iTunes from Microsoft Store and easily play your favorite music, movies, and more—right from your Windows 10 PC. iTunes is also home to Apple Music, where you can listen ad-free to over 45 million songs and download your favorites to enjoy without using WiFi”. The app is currently only available for PC’s. It might become available as a Universal Windows Platform (UWP) app and run across devices. Visit the Microsoft store and download the app, synchronize your stuffs and enjoy. How does this announcement resonate with you? Share with us in the comments.